The first time I ate this salad I was in love. 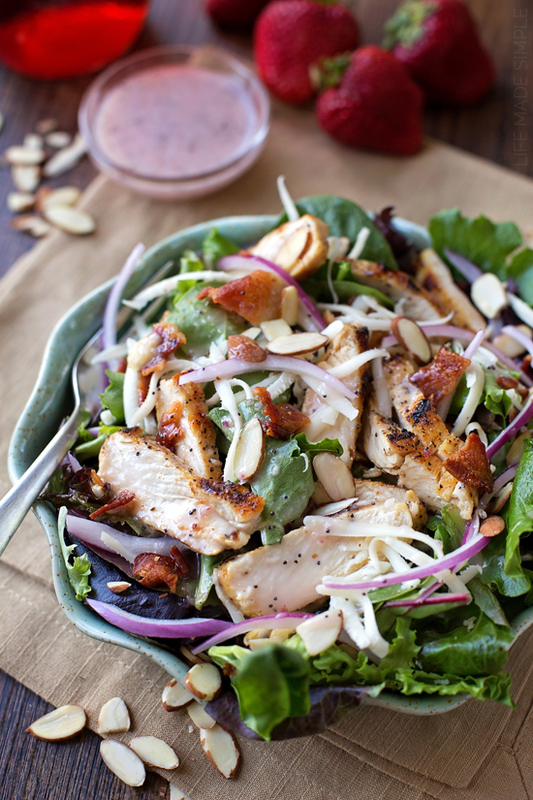 Chicken, bacon, red onion, almonds and mozzarella sitting on a bed of spring greens and topped with a sweet poppy seed dressing, what’s not to love?! This is my version of Kneaders Bakery & Cafe’s “Chicken Ala Mondo Salad.” You see, a few years back when we moved out of Utah I couldn’t help but wonder if I could make some of their items at home. I was craving everything Kneaders and needed a quick fix… thank goodness I chose a salad instead of some of their super decadent treats 🙂 Anyway, this is a really simple salad but has great flavor and can be doubled, tripled or even quadrupled to feed a larger crowd. I always make a large plate (or bowl full), which is filling enough for lunch, dinner or can be served as a side salad for two. For the dressing you’ll need a small food processor or blender to create that nice smooth texture. 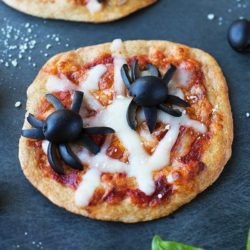 Just toss all of the ingredients in (minus the poppy seeds) and pulse or blend away. When it turns light purple/pink you know it’s ready. Stir in the poppy seeds and drizzle it over your salad. Simple enough, right? I can’t tell you enough how much I love making & eating this salad! It’s crisp, sweet and packed full of protein. 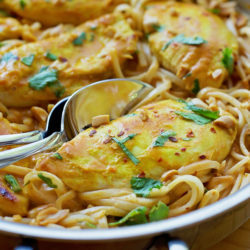 Perfect for lunch, dinner or special occasions! Enjoy! 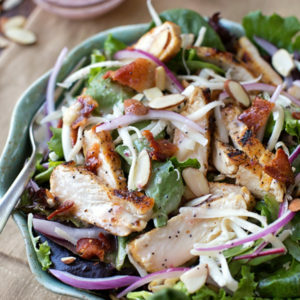 You're going to love this spring salad topped with grilled chicken, crisp bacon, toasted almonds, grated mozzarella and sliced onion! 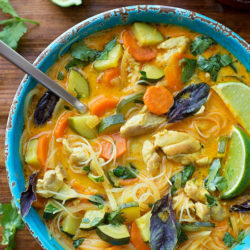 It's flavorful and delicious! Add greens to a dinner plate or medium size bowl. 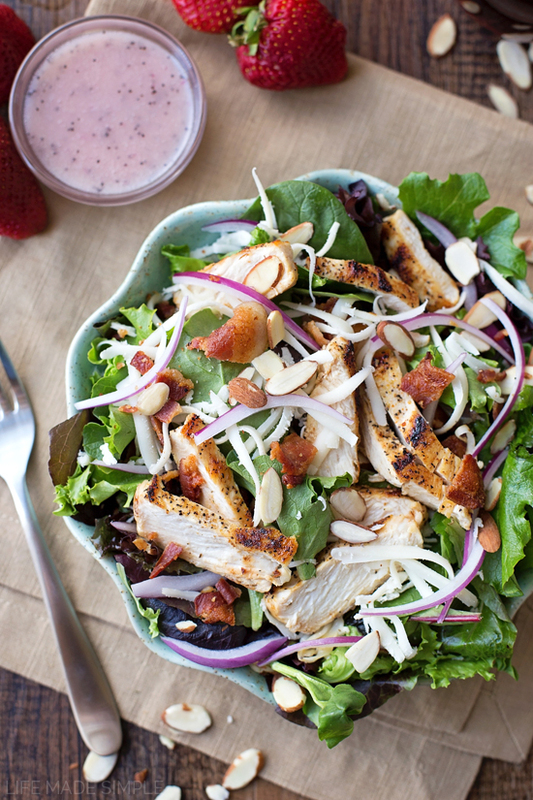 Top with chunks of slices of chicken, bacon crumbles, toasted almonds, shredded mozzarella cheese and sliced red onion. To make the dressing, in a small food processor or blender, combine the ingredients for the dressing minus the poppy seeds. Pulse or blend for 1-2 minutes or until the mixture is smooth and emulsified. Add the poppy seeds, stir and drizzle over the salad. Store any remaining dressing in the refrigerator for up to 3 days. *To toast the almonds, simply toss them in a dry skillet set over medium heat. Shake the pan every few minutes or so, when they start to become fragrant and lightly golden in color, remove them from the pan and allow them to cool before adding them to the salad. 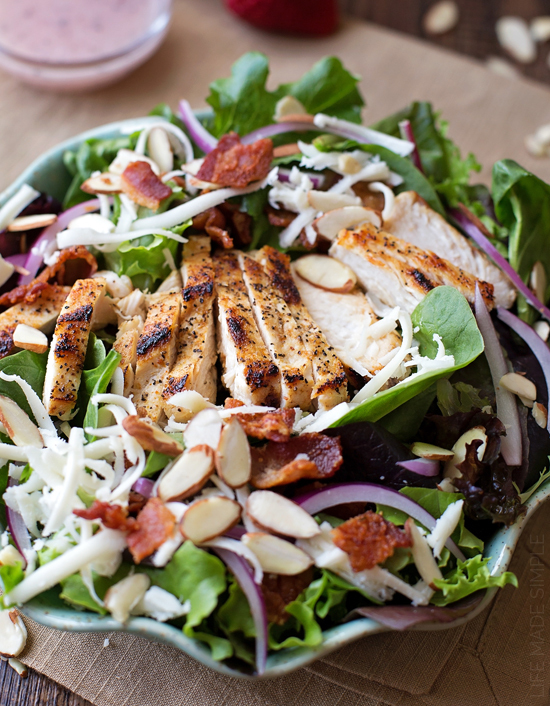 -PLEASE NOTE: the cook time is for the chicken, bacon and toasting of the almonds.